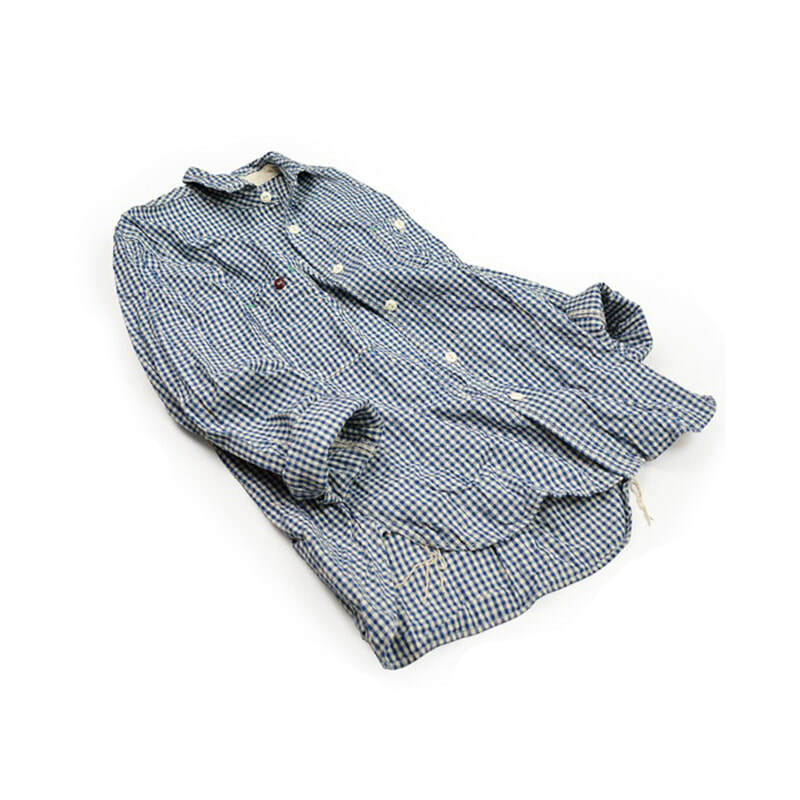 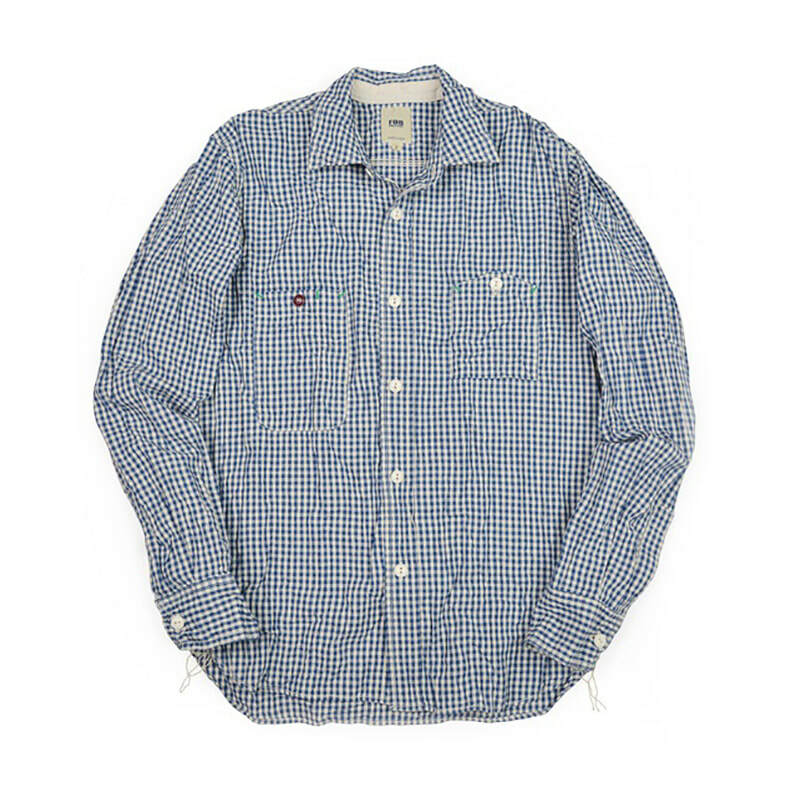 F.O.B’s long-seller, classic selvedge gingham shirt was restored to the 1930's work shirt style. 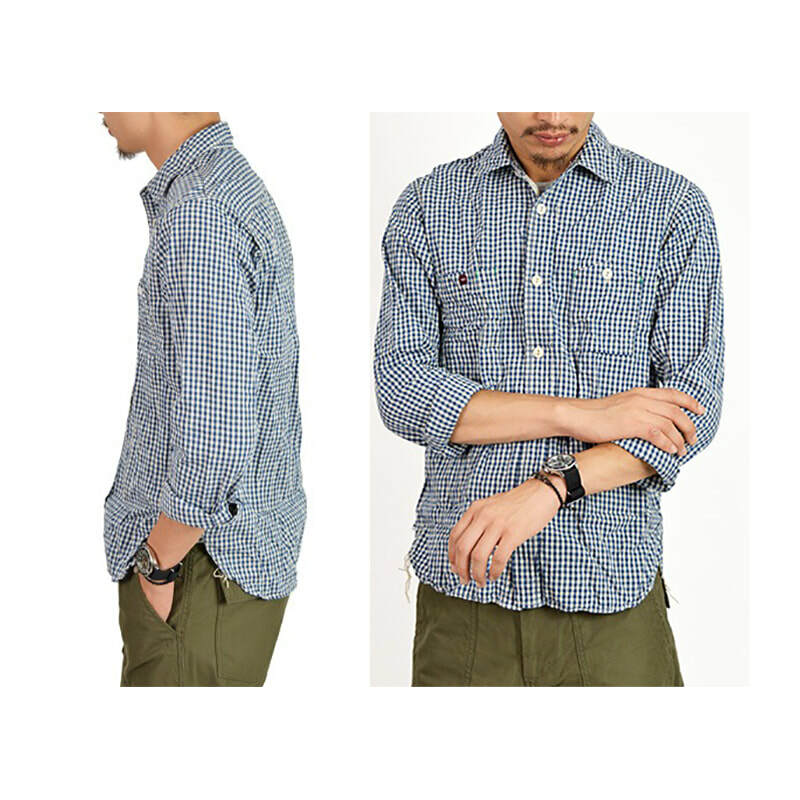 It is comfortable, easy to wear, and versatile with sleek silhouette. 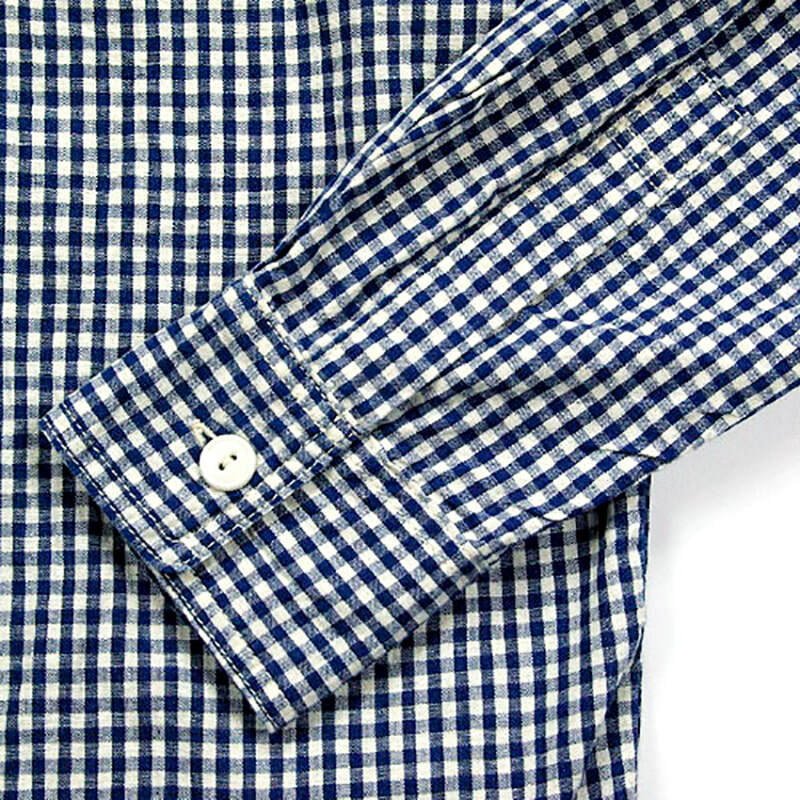 The preeminent chambray gingham fabric was slowly woven by a vintage shuttle loom, ensuring a feeling as close to a handwoven cotton. 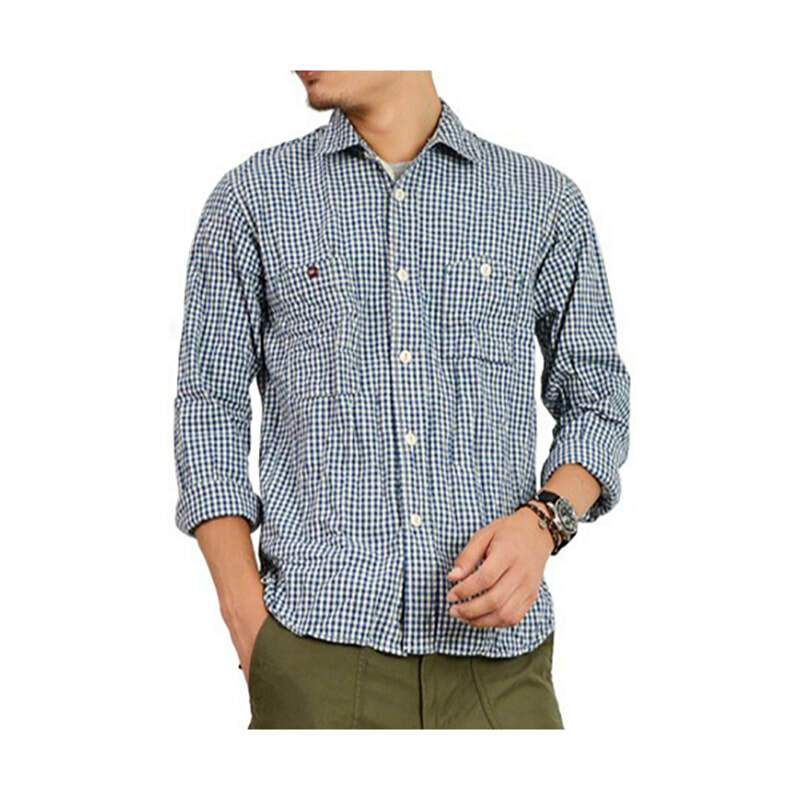 Unique chambray texture gives the shirt its signature ruggedness and a vintage look. 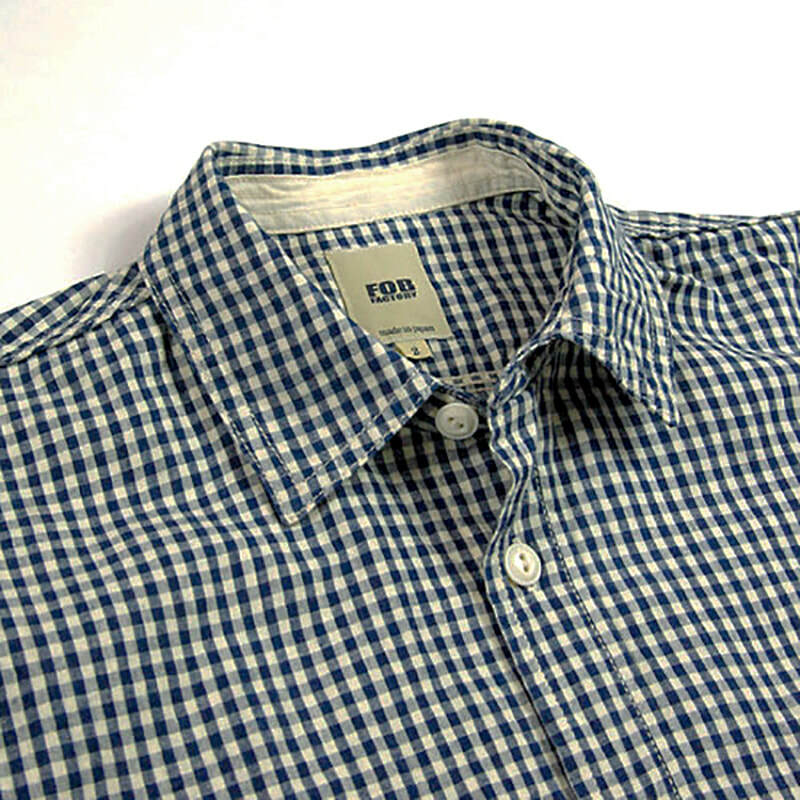 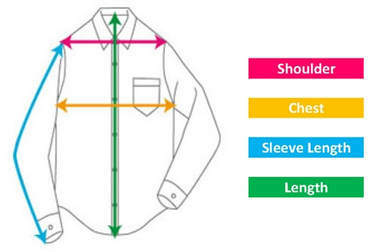 Features a mountain shape pocket on the left chest and a rectangular pocket on the right chest. 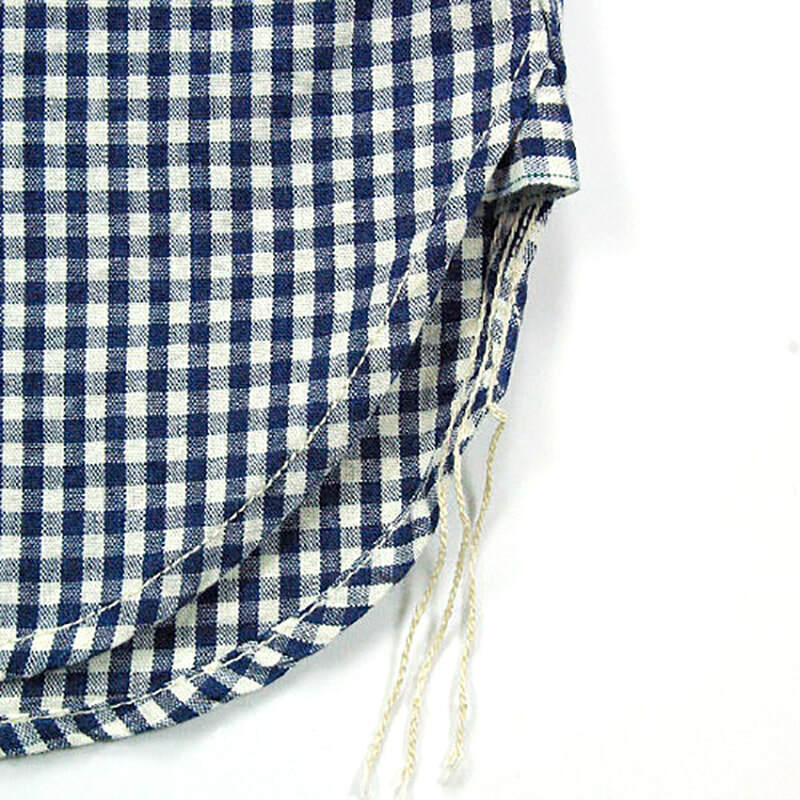 Both sides have a selvedge gusset attached to give the shirt a vintage look. 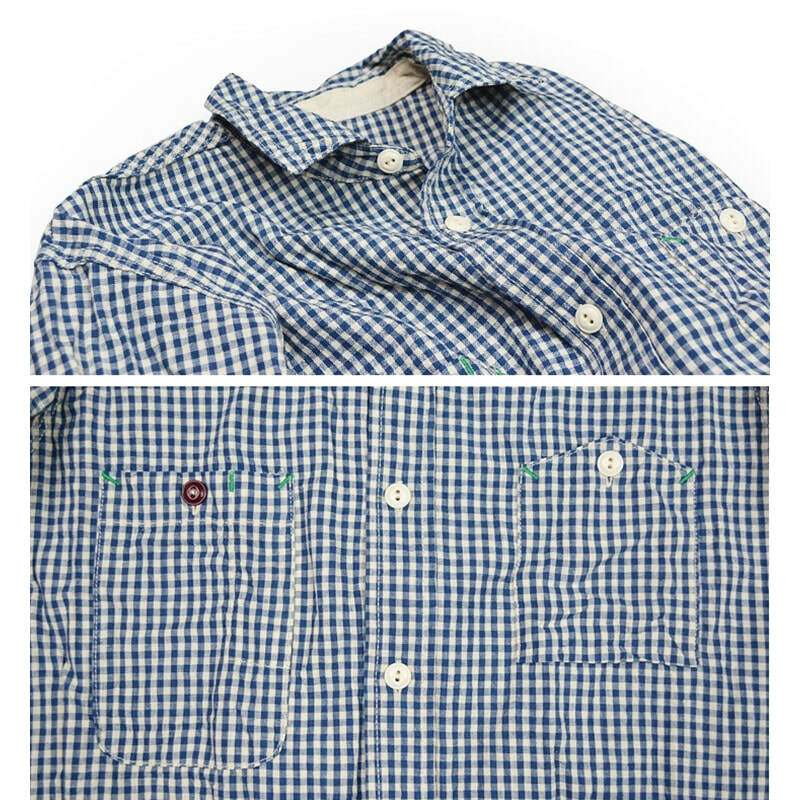 The green chain stitched selvedge side gusset on the pockets give the shirt more character.